New for AW14, the Norris is a rugged and durable everyday field boot. 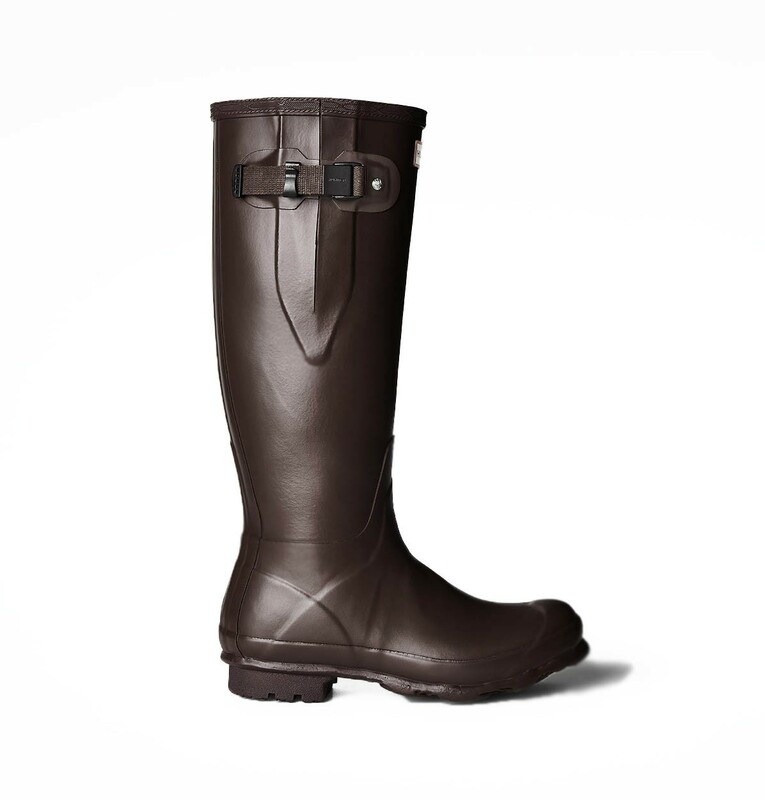 Designed to stand up against the elements it utilises a natural soft rubber compound to ensure comfort when worn for long periods of time. This design features a concealed, adjustable side gusset for a wider fit and easier wear. The thick Argyll sole provides strong grip with robust wide tread. Featuring Hunter's legendary orthopaedic fit, a plastic buckle, strap holder and strap end, field green lining and a semi-matte finish. The Norris is full knee length and unisex with a nominal weight of 1900g (pair). Care for your boots with Hunter's Boot Shine and Rubber Buffer to keep them looking fresh through the seasons.